Delicious flavour. Quality provisions legendary flavour. High protein. 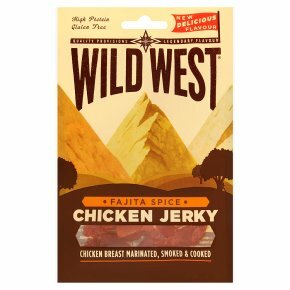 Gluten free.Whether you're exploring the urban landscape or the great outdoors, Wild West gives you the fuel to go further. Using only 100% British chicken breast for the leanest experience, our jerky is full of goodness and the pioneering spirit of the taste frontier.